Despite Autumn being on the doorstep, many of the summer flowers were still in bloom and the trees were mostly still green and lush. 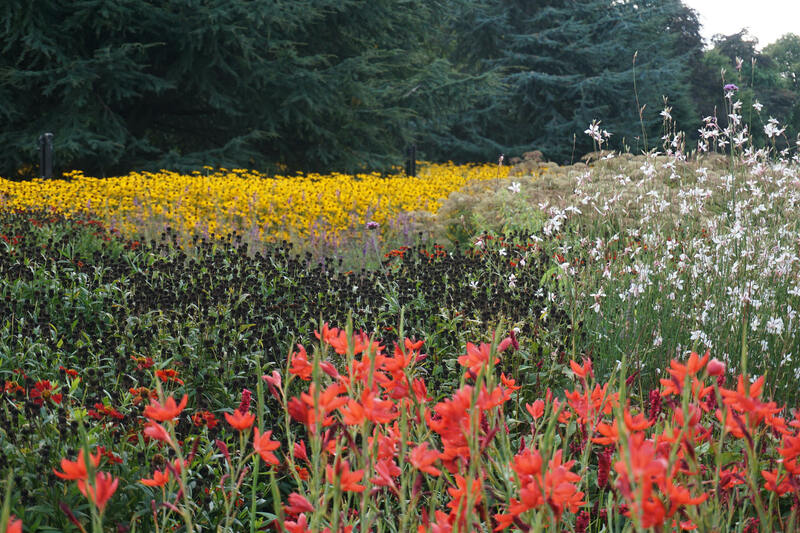 It was so colourful and the variety of blooms, as you would expect, was so diverse. 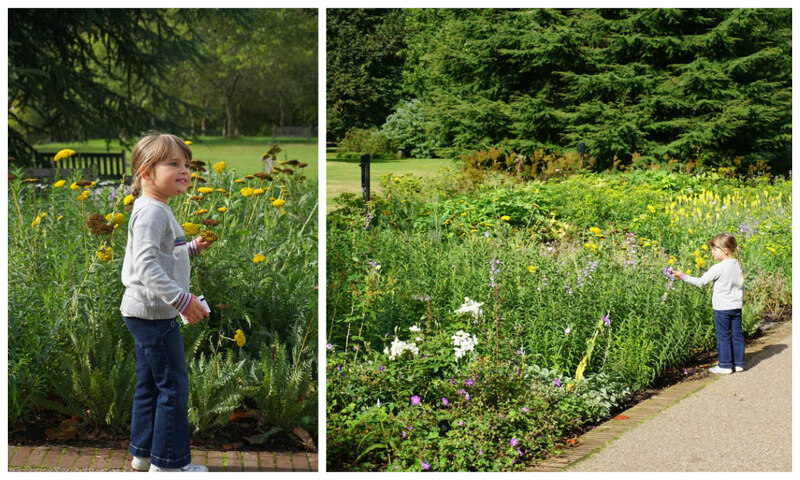 Sophie took ages to walk along the paths as she wanted to explore all the different flowers herself! Sophie was also distracted by the resident peacocks that she met along the way! We finally made it along the flower bordered paths to reach the temporary exhibition that I was so longing to visit – The Hive. 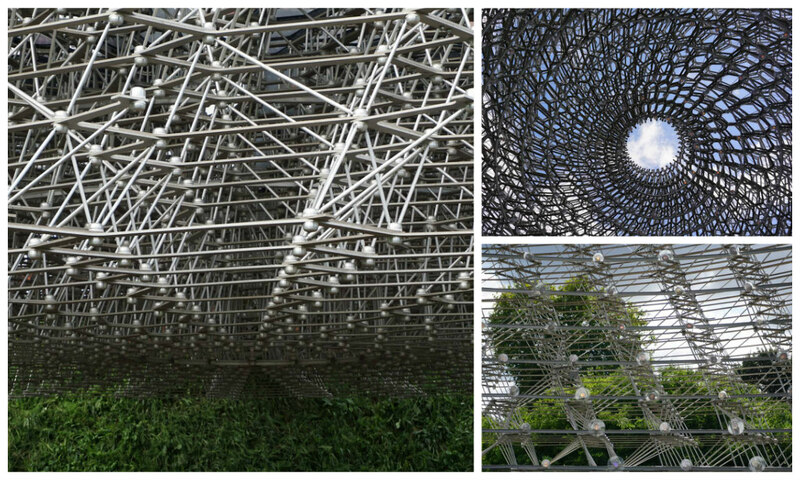 Originally created for the UK Pavilion at the 2015 Milan Expo, The Hive is a unique installation inspired by scientific research into the health of bees. It’s a huge, aluminium honeycomb structure which seems to change in shape as your walk around and in it – sometimes feeling quite solid, and others really ethereal and light. 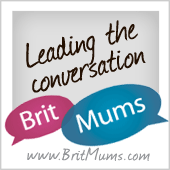 It was truly stunning – I loved the unusual perspectives it offered. 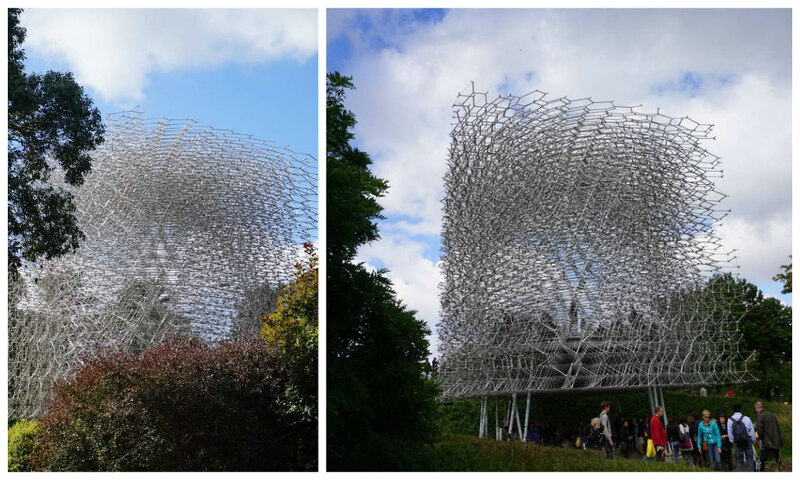 It was an incredibly immersive experience as the structure responds to the intensity of bee activity in Kew’s nearby real beehives. 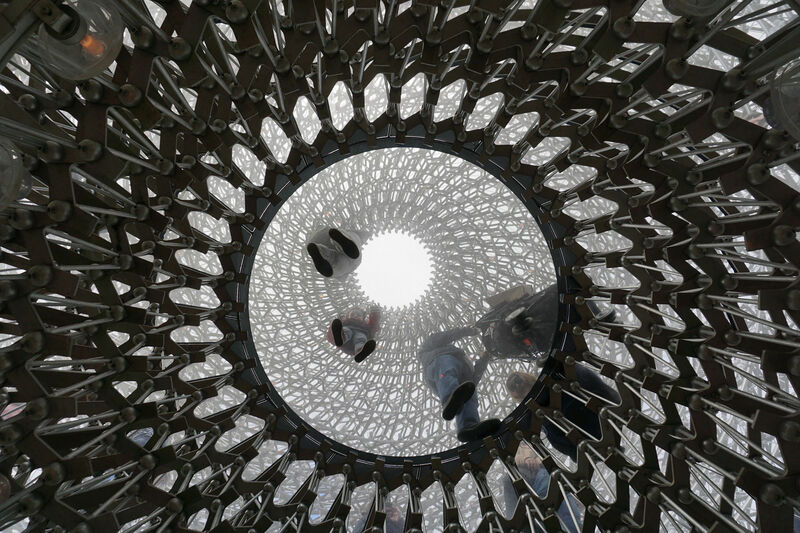 Vibration monitors within the real hive detect bee activity, and this is translated into visual representation through the 1000 LEDs within the structure and an eerie soundscape of bee sounds and musicians. Bizarre but quite moving! 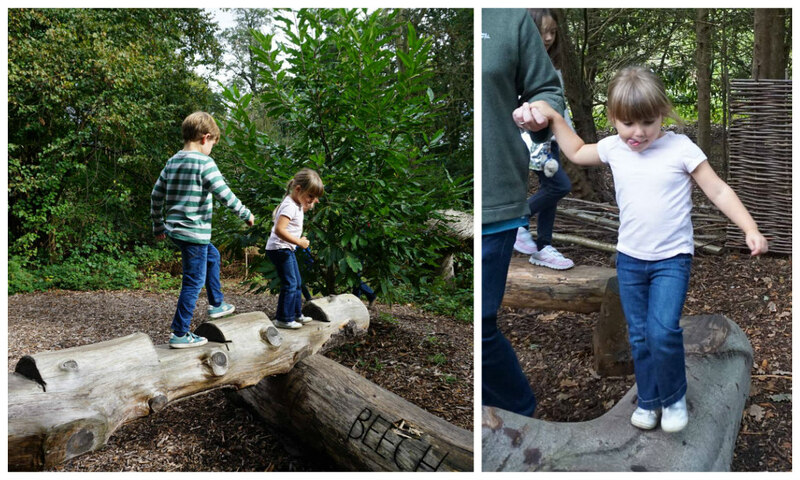 My duo loved the hive and certainly had a lot of fun together running around the structure. 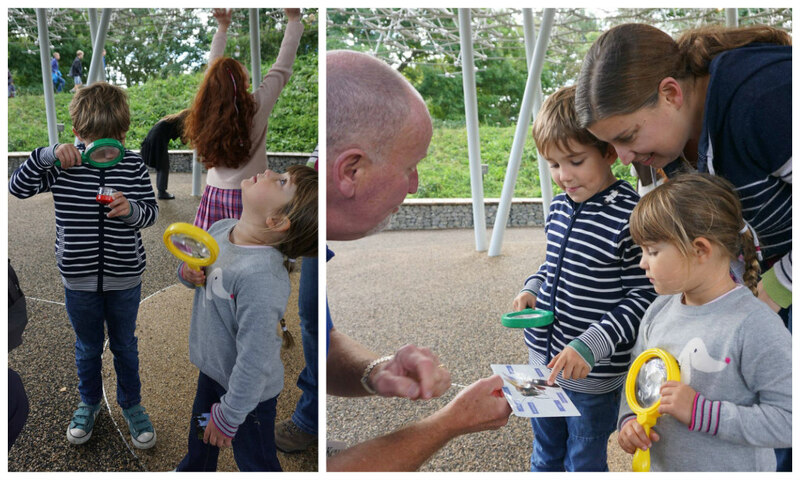 They stopped briefly to learn more about bees and look at pollen through the magnifying glass with the help of the excellent volunteers manning the installation. 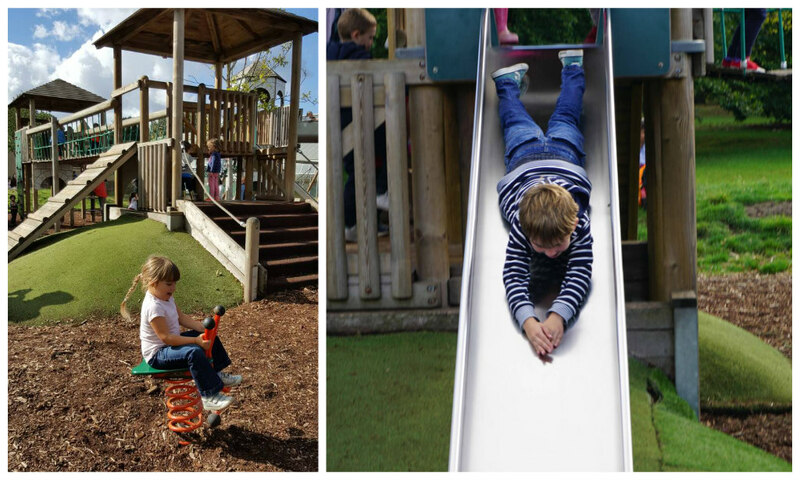 After we’d explored every inch of The Hive, we headed off for some lunch in the excellent family friendly White Peaks cafe before letting the children loose on the fabulous playspaces – the Treehouse Towers outdoor playground and the Climbers and Creepers indoor botanical themed play zone. We then set a course for the other side of the gardens, and meandered along the quiet paths enjoying the warm sunshine and beautiful vistas. 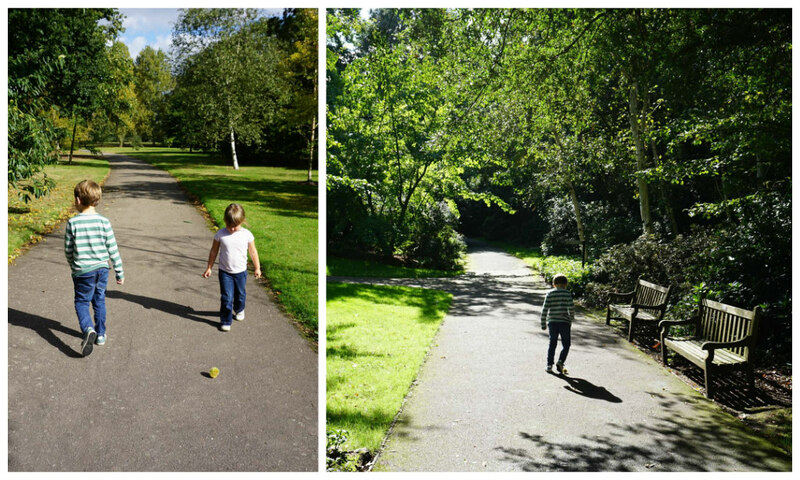 The children collected conkers and played football with the green, spiky shells. 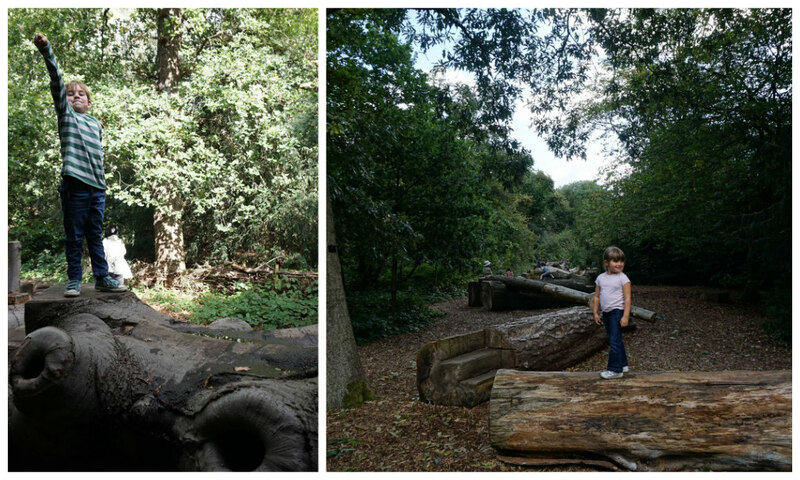 We came across the Log Trail area – a natural playground made up of trees that had fallen in storms at the Gardens. 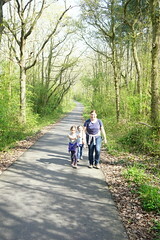 It was a long, challenging balancing trail which Alex and Sophie LOVED. Alex completed it four times! Here’s his victorious pose! 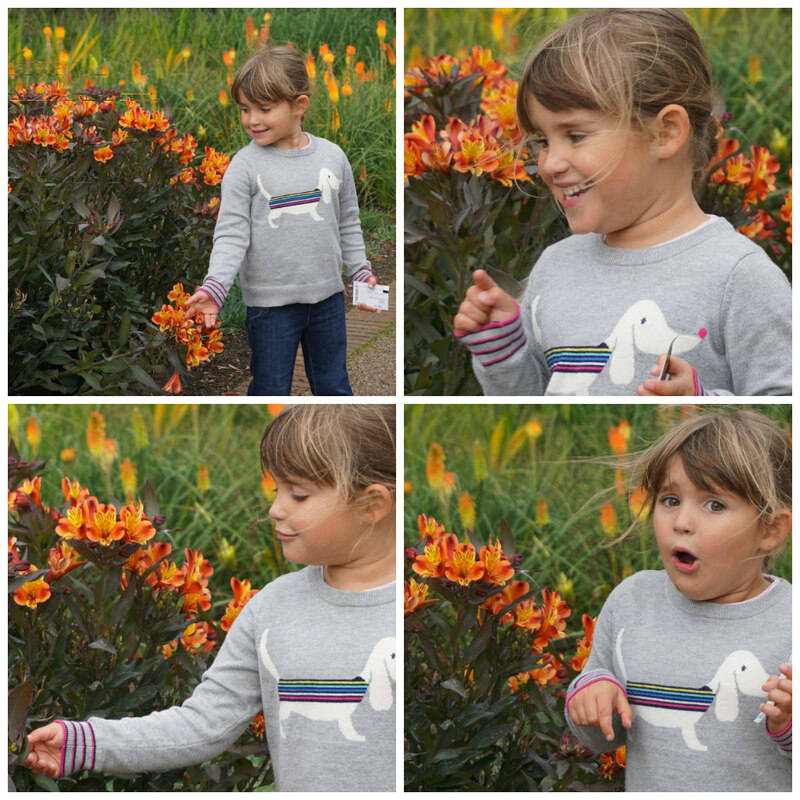 And Sophie tried really hard to get round everything, with a little bit of help from her daddy – I love how she has her tongue out in concentration here! 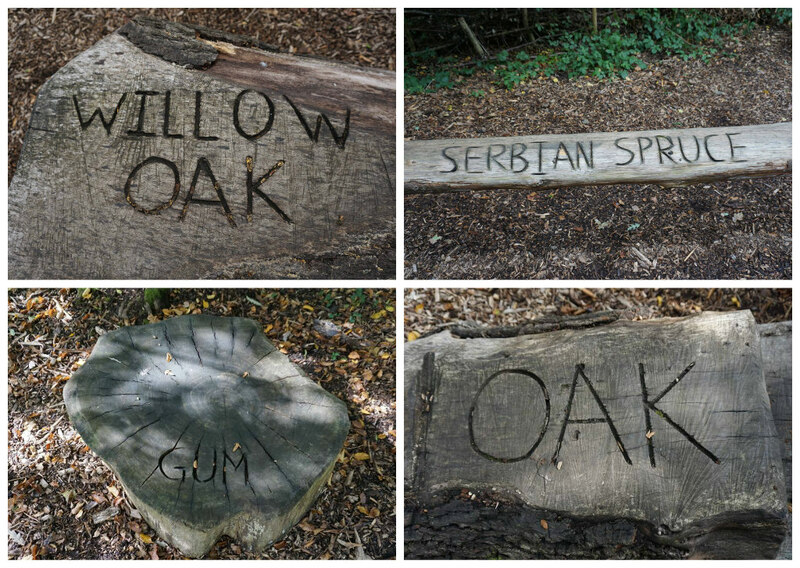 And some snug spots for resting along the way! 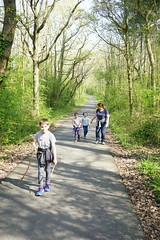 I particularly liked how the you could see what kind of tree you were clambering along! 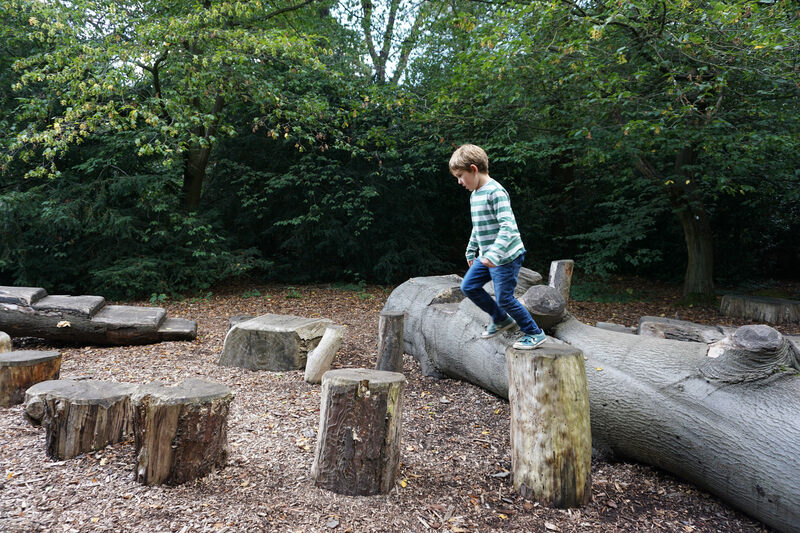 Right next to the log trail, the children discovered a human sized badger sett! 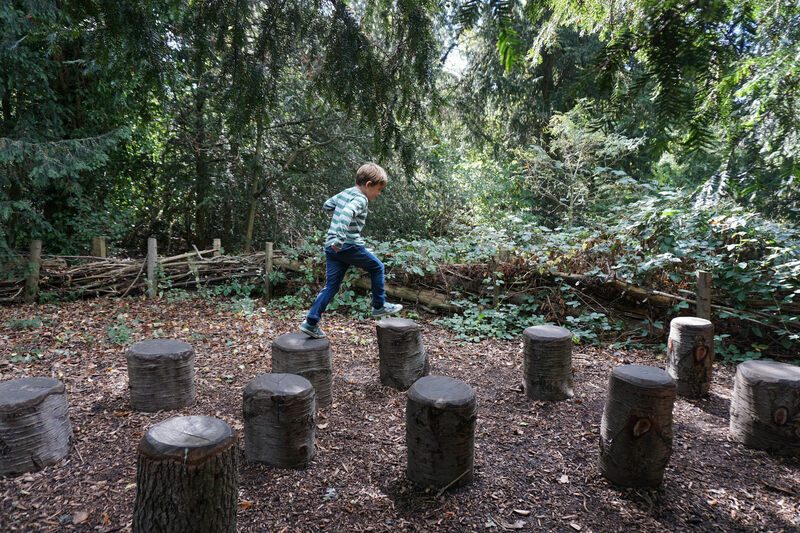 We all crept along the tunnels exploring and finding the wooden badgers that were hidden along the way! 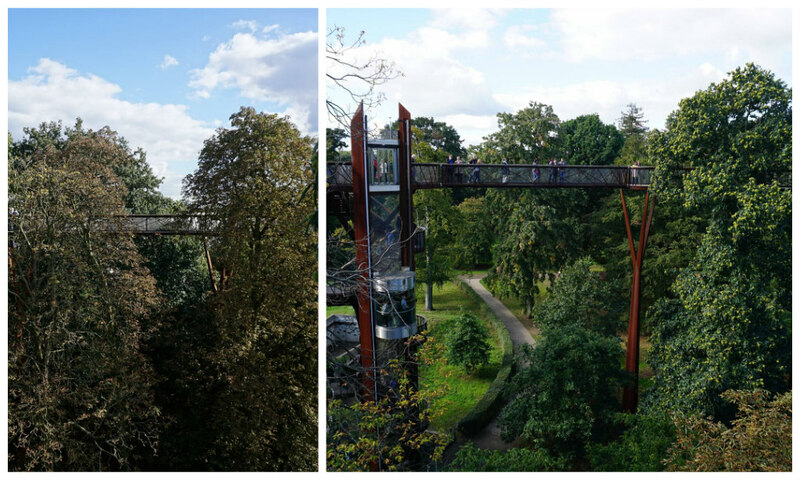 After all the walking and playing, we were all a bit exhausted, but there was one final stop on our Kew Gardens tour – the treetop walkway! So we climbed up the many flights of stairs to the very top and wandered through the tree canopies. 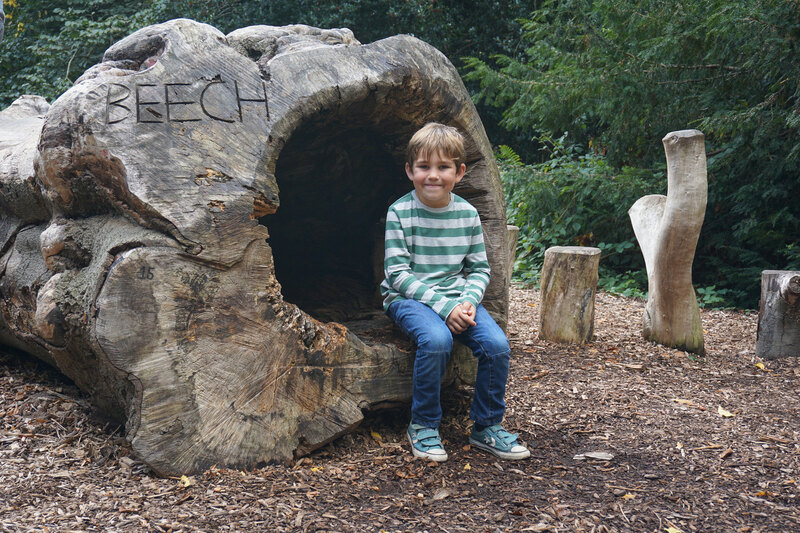 Alex and Sophie were so fixated on the promise of an ice cream on the way home, that we rushed around the route very quickly – but it was still nice to see a different view of the park and get up close to some of the enormous trees. 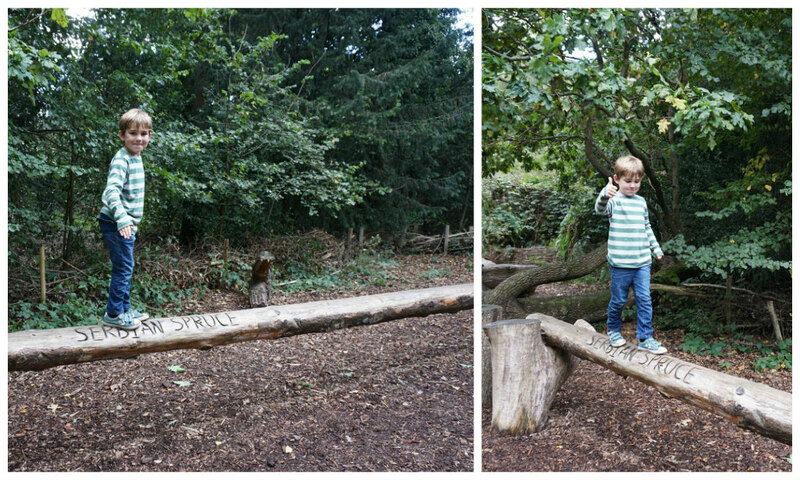 We had such a lovely day at Kew. We’d only planned to stay for a couple of hours to see The Hive, but ended up staying the entire day – and we still didn’t explore everywhere. We’re already planning to head back again soon, and will certainly visit for the 2016 Christmas lights. 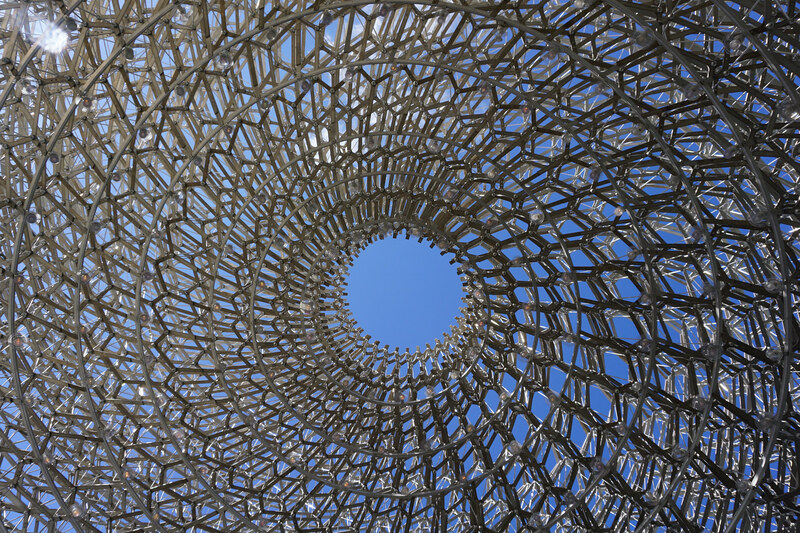 The Hive is open until November 2017, so there’s loads more time to visit that again – I’d highly recommend it. 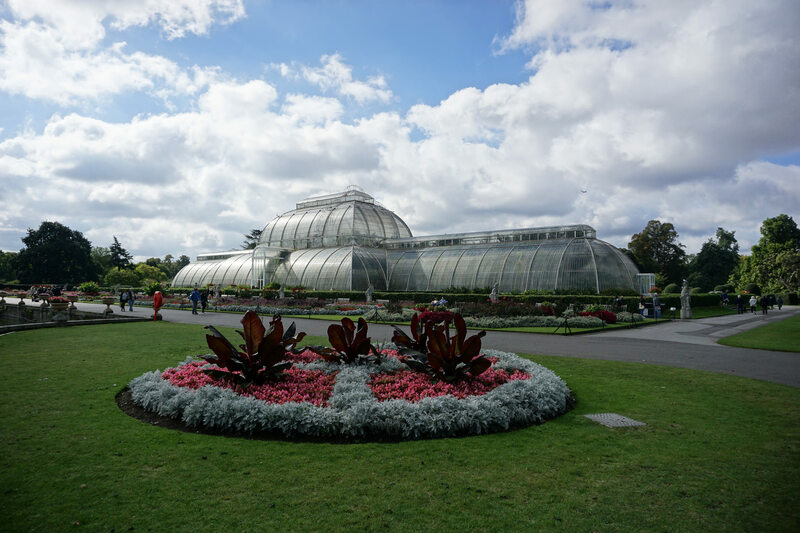 We really wanted to go to Kew when they had their poisonous plants exhibition a couple of years ago I think it was.I think we’ll be definitely making an effort to go soon as it looks an amazing place to go. 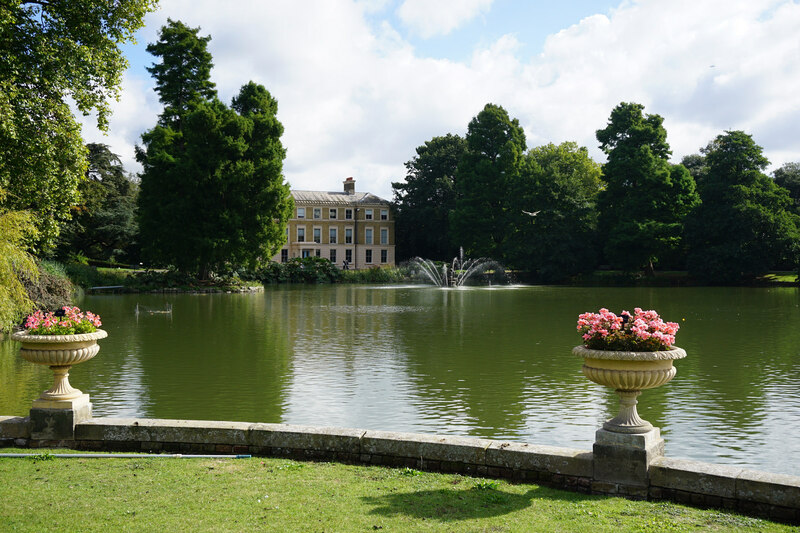 Do you know I don’t remember Kew Gardens being half so exciting when we lived close by. I know I’m going back 15 years now but oh my they have come on in terms of things for kids to do there. 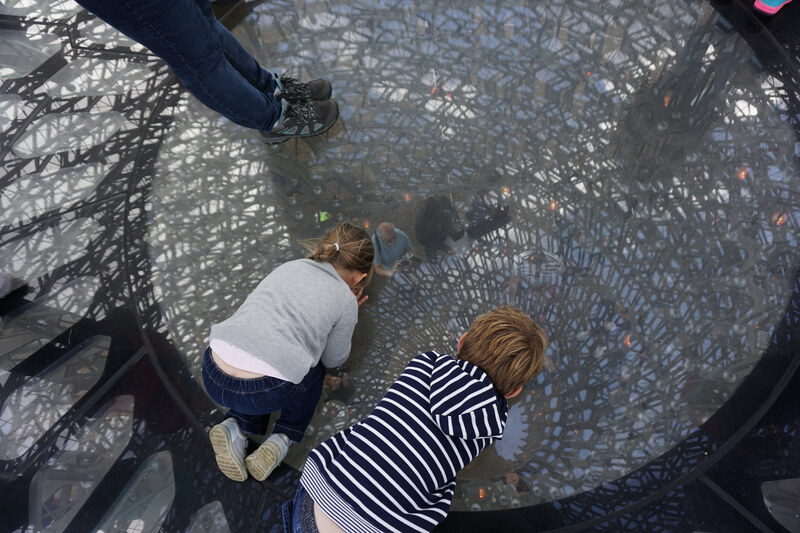 The Hive looks amazing, I love the idea of the structure changing shape and density as you go round and your photos from there of the kids looking in and up are fab. 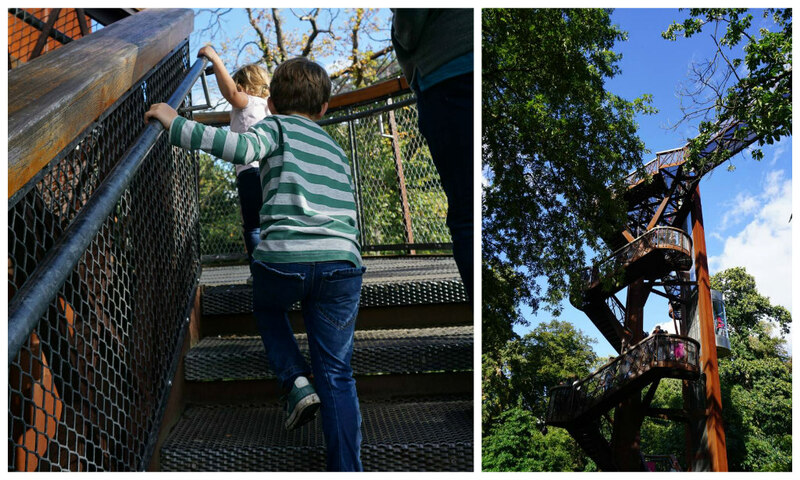 With the Tree top walk and the trail it is easy to see how you ended up spending so much time there on a beautiful autumn day. 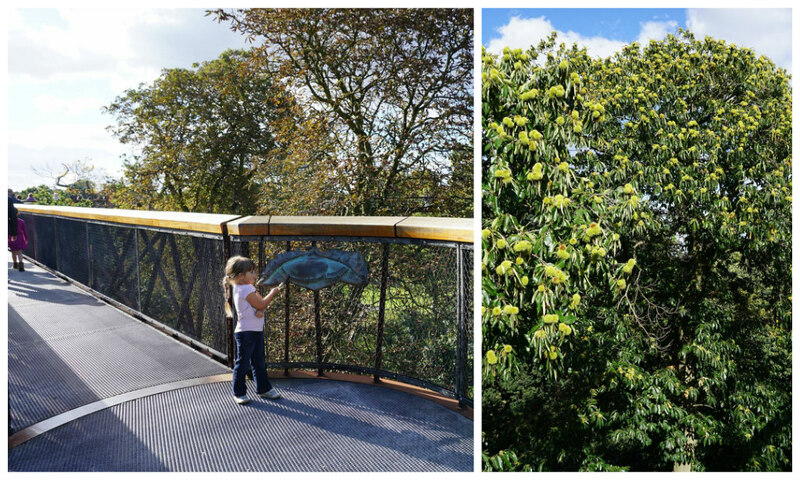 I am a little ashamed to admit that I have never been to Kew, but I am sure I would love it. And from your post it looks like my girls would too! I love your photos – especially of The Hive!